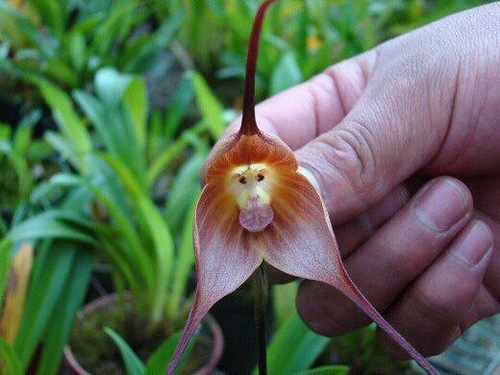 This wonderful orchid with a face of a monkey has a scientific name Dracula simia. 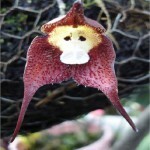 And it comes from the south-eastern Ecuadorian and Peruvian cloud forests from elevations of 1000 to 2000 meters. 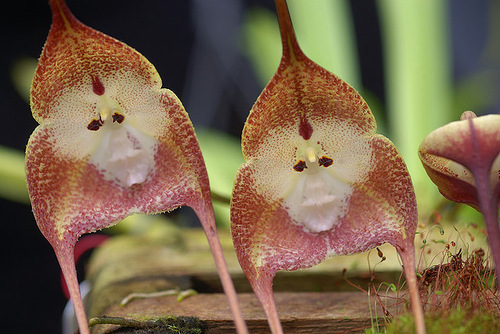 However, not many people throughout history got to see these wonderful plants. 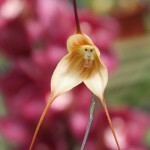 Their scientific name is Dracula simia, and this remarkable orchid bears more than a passing resemblance to a monkey’s face. 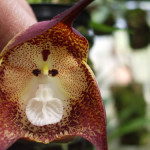 Interestingly, the orchid got its name only in 1978, thanks to the botanist Luer. 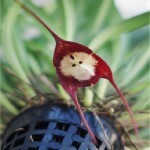 Meanwhile, the family of this plant contains over 120 species, mostly found in Ecuador. 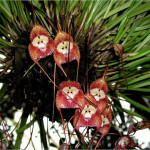 Up in the cloud mountains the monkey orchid can flower any time, and there is no specific season for it. 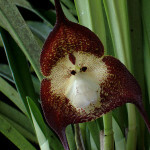 Like all orchids, however, it needs a lot of care and patience. 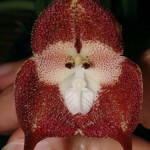 The arrangement of column, petals and lip strongly resembles a monkey’s face.